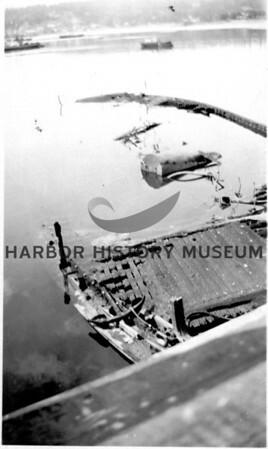 Remains of the ferry "Gig Harbor" after it sunk following a fire on June 10, 1929; the ferry was dismantled to the waterline. She was launched in April 1925. She carried 30 cars.